Paul Cézanne (1839-1906), Self Portrait with Bowler Hat, 1885-6, NY Carlsberg Glyptotek, Copenhagen. Photo: Ole Haupt. LONDON.- Three self-portraits by Paul Cézanne, painted in 1885 and 1886, including a complementary pair showing Cézanne in a bowler hat, have gone on public display for the first time in the United Kingdom in a major new exhibition, Cézanne Portraits, on view at the National Portrait Gallery, London. The exhibition brings together for the first time over fifty of Cézanne’s portraits from collections across the world. 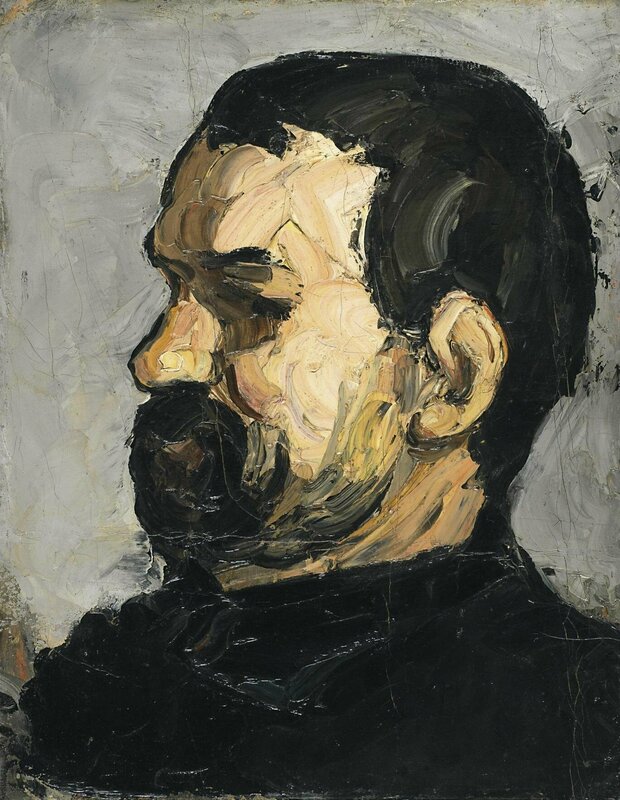 The first of the three self-portraits, painted around 1885, was, together with Cézanne’s earliest self-portrait, the only painted self-portrait to be based upon a photograph. The two portraits with a bowler hat show the artist in a familiar pose, looking back over his shoulder, his right eye engaging with the viewer. 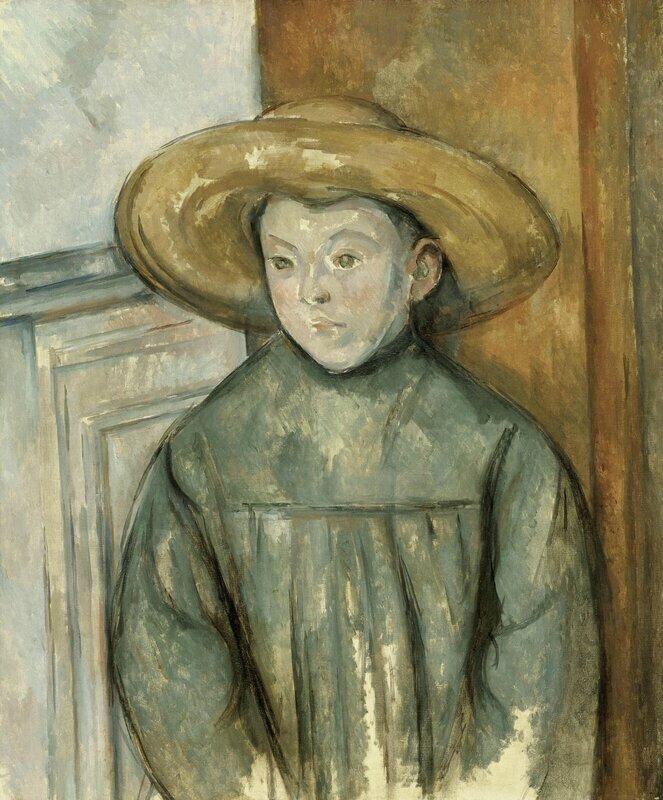 The shape of the hat reflects Cézanne’s pleasure in modelling simple, solid geometric forms. 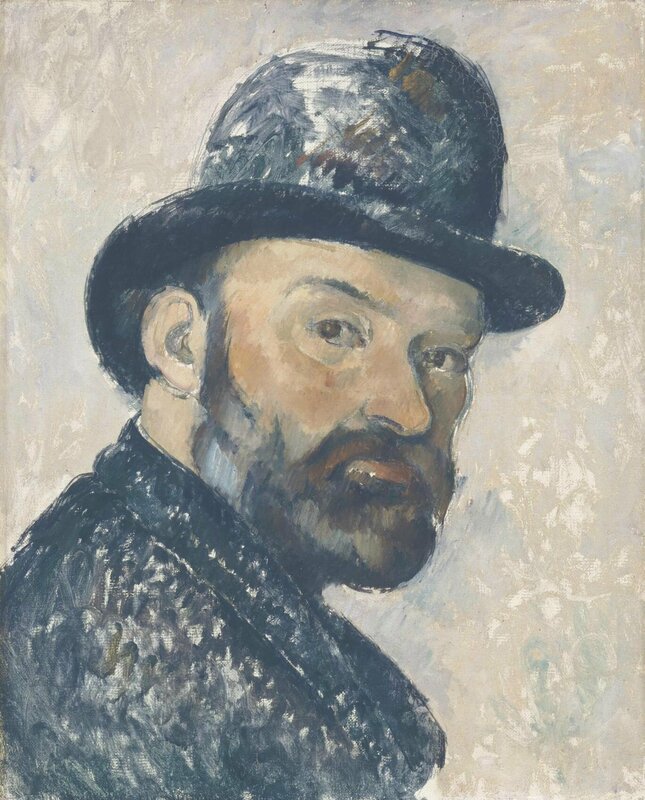 The works are the only painted self-portraits to show Cézanne wearing a bowler hat, although it would become his favourite headgear in his later years. 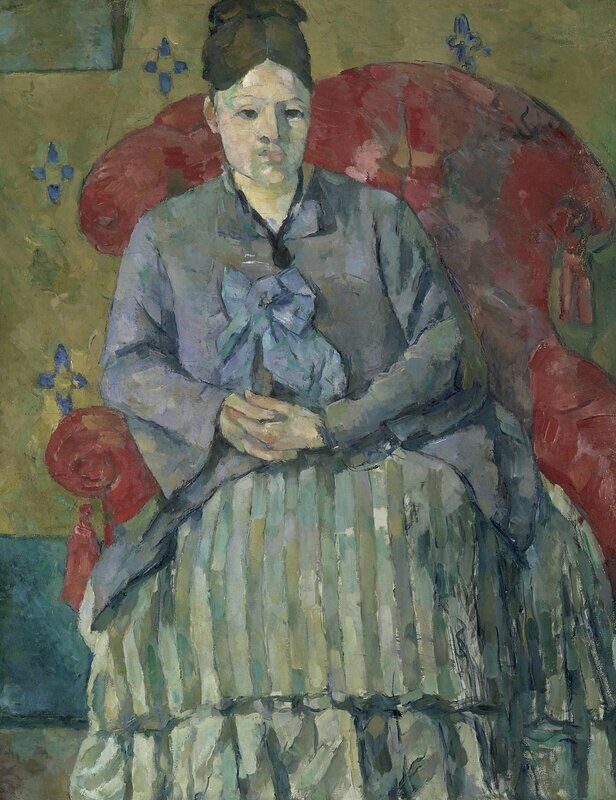 Paul Cézanne (1839-1906), Madame Cézanne in a Red Armchair, c.1877, Museum of Fine Arts, Boston. Bequest of Robert Treat Paine, 2nd. Photo © 2017 Museum of Fine Arts, Boston. Also displayed for the first time in the United Kingdom are two portraits of Cézanne’s wife, Hortense Fiquet – Madame Cézanne Sewing (1877), on loan from the Nationalmuseum, Stockholm and Madame Cézanne (1886–7), on loan from the Detroit Institute of Arts; a portrait of Cézanne’s close friend Antoine-Fortuné Marion, who became Director of the Museum of Natural History in Marseille and went on painting expeditions with Cézanne in Provence; and one of a series of portraits of Cezanne’s maternal uncle, Dominique Aubert who, dressed in differing costumes, sat for nine or ten portraits by his nephew over the winter of 1866–7. In addition to the portraits previously unseen in the United Kingdom, the exhibition also includes a number of works that were last exhibited in this country in the 1920s and 1930s. 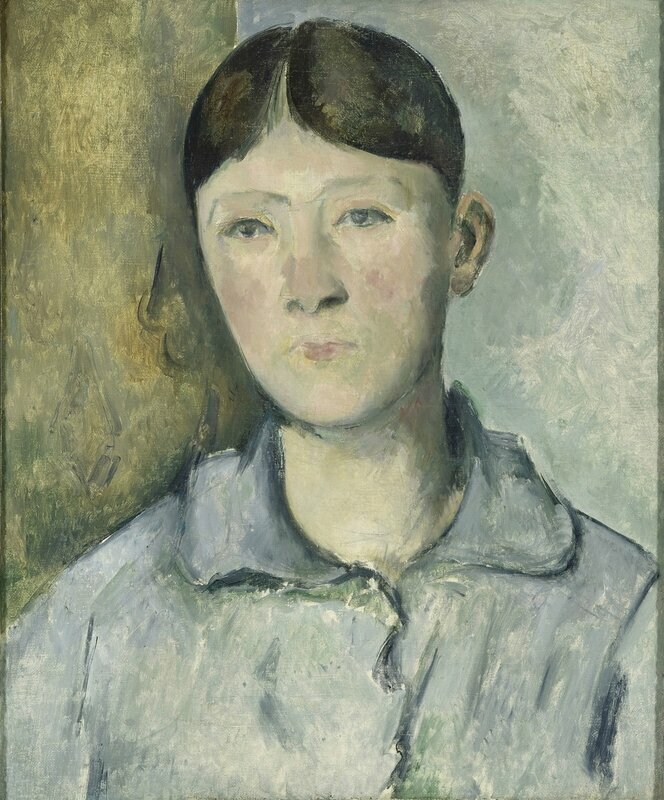 Paul Cézanne (1839–1906) painted almost 200 portraits during his career, including twenty-six of himself and twenty-nine of his wife, Hortense Fiquet. Cézanne Portraits explores the special pictorial and thematic characteristics of Cézanne’s portraiture, including his creation of complementary pairs and multiple versions of the same subject. The chronological development of Cézanne’s portraiture is considered, with an examination of the changes that occurred with respect to his style and method, and his understanding of resemblance and identity. The exhibition also discusses the extent to which particular sitters inflected the characteristics and development of his practise. Works included in the exhibition range from Cezanne’s remarkable portraits of his Uncle Dominique, dating from the 1860s, through to his final portraits of Vallier, who helped Cézanne in his garden and studio at Les Lauves, Aix-en-Provence, made shortly before the artist’s death in 1906. The paintings are drawn from museums and private collections in Brazil, Denmark, France, Russia, Sweden, the United Kingdom and the United States. Cézanne is widely considered one of the most influential artists of the nineteenth century. 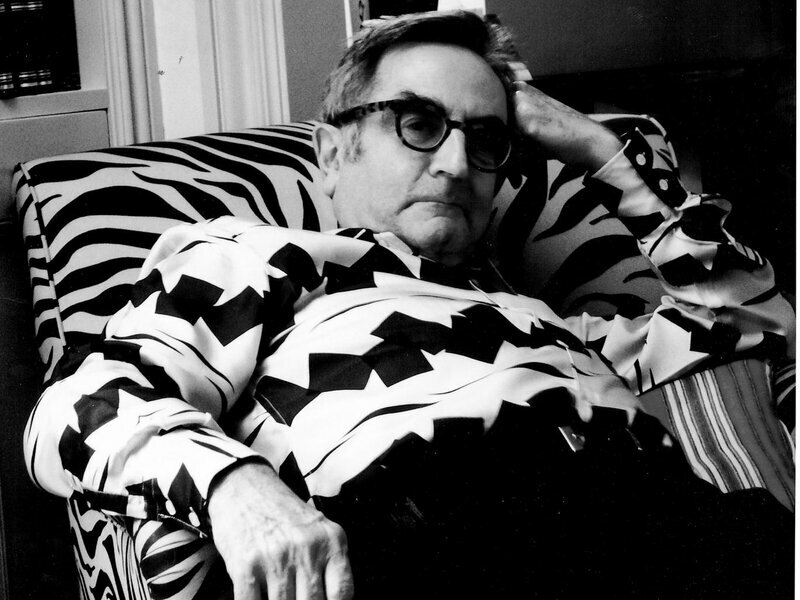 Generally categorised as a Post-Impressionist, his unique method of building form with colour, and his analytical approach to nature influenced the art of Cubists, Fauvists and successive generations of avant-garde artists. Both Matisse and Picasso called Cézanne ‘the father of us all’. Paul Cézanne (1839-1906), Uncle Dominique in Profile, 1866-7, Metropolitan Museum of Art, Wolfe Fund, 1951 acquired from The Museum of Modern Art, Lillie P. Bliss Collection (53.140.1). 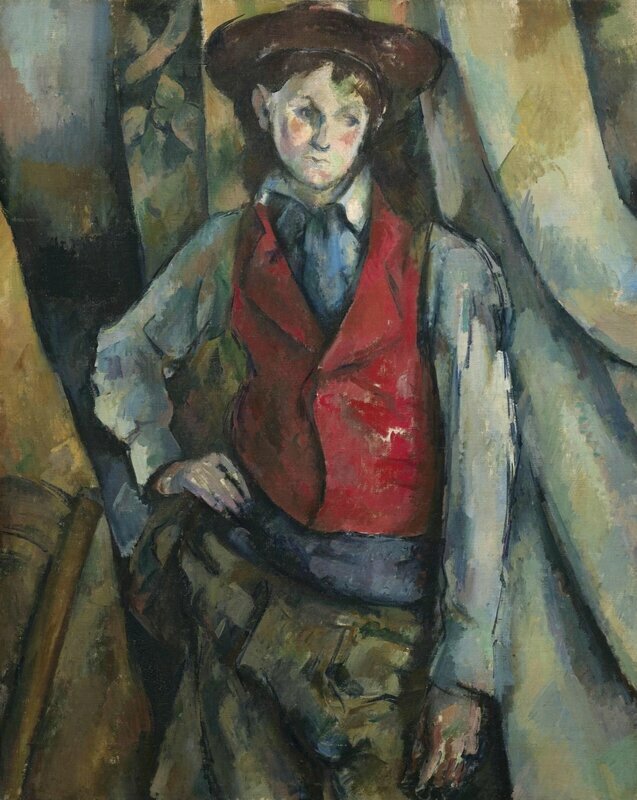 Paul Cézanne (1839-1906), Boy in a Red Waistcoat, 1888-90, National Gallery of Art, Washington D.C.; Collection of Mr. and Mrs. Paul Mellon, in Honour of the 50th Anniversary of the National Gallery of Art, Washington D.C.
Cézanne Portraits is curated by John Elderfield, Chief Curator Emeritus of Painting and Sculpture at the Museum of Modern Art, New York, where he has organised numerous exhibitions, including major retrospectives devoted to Willem de Kooning, Henri Matisse and Kurt Schwitters; with Mary Morton, Curator and Head of the Department of French Paintings, National Gallery of Art and Xavier Rey, Director of the Museums of Marseille and former Director of Collections, Musée d’Orsay. The exhibition is organised by the National Portrait Gallery, London, Etablissement public des musées d’Orsay et de l’Orangerie, Paris, and the National Gallery of Art, Washington D.C . The exhibition was open at the Musée d’Orsay from 13 June 2017 to 24 September 2017, moving to the National Portrait Gallery from 26 October 2017 to 11 February 2018, and the National Gallery of Art from 25 March to 1 July 2018. 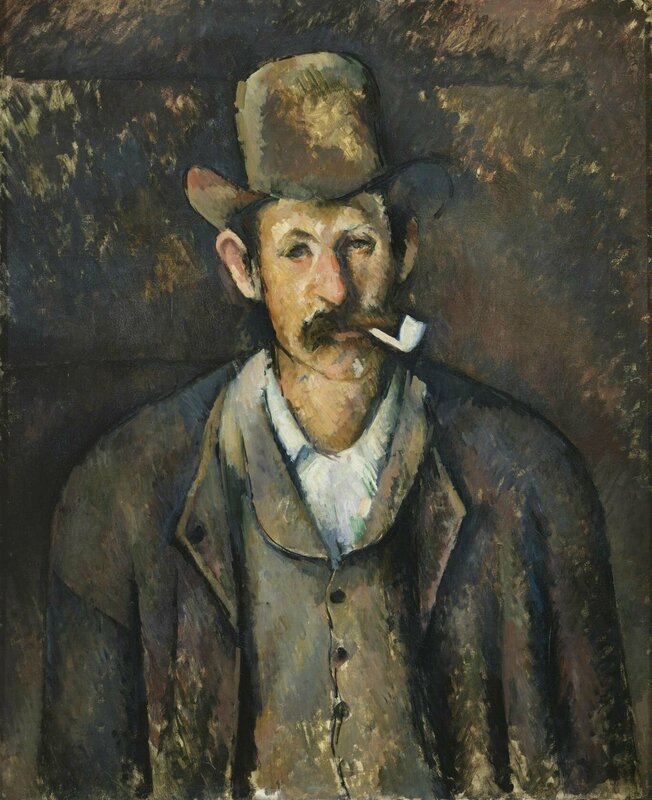 Paul Cézanne (1839-1906), Man with Pipe, 1891-6, The Samuel Courtauld Trust, The Courtauld Gallery, London. 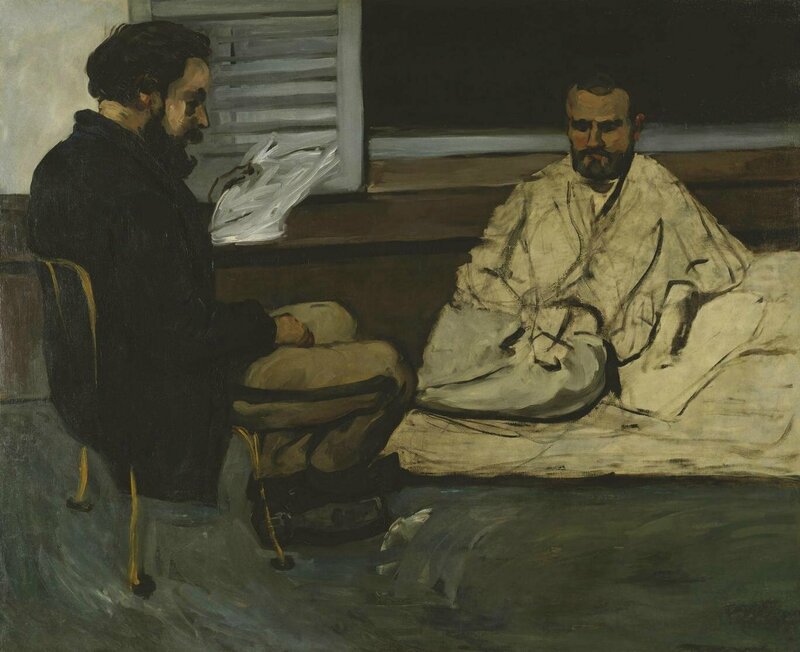 Paul Cézanne (1839-1906), Paul Alexis Reading a Manuscript to Emile Zola, 1869-70, Congresso Nacional, 1952. 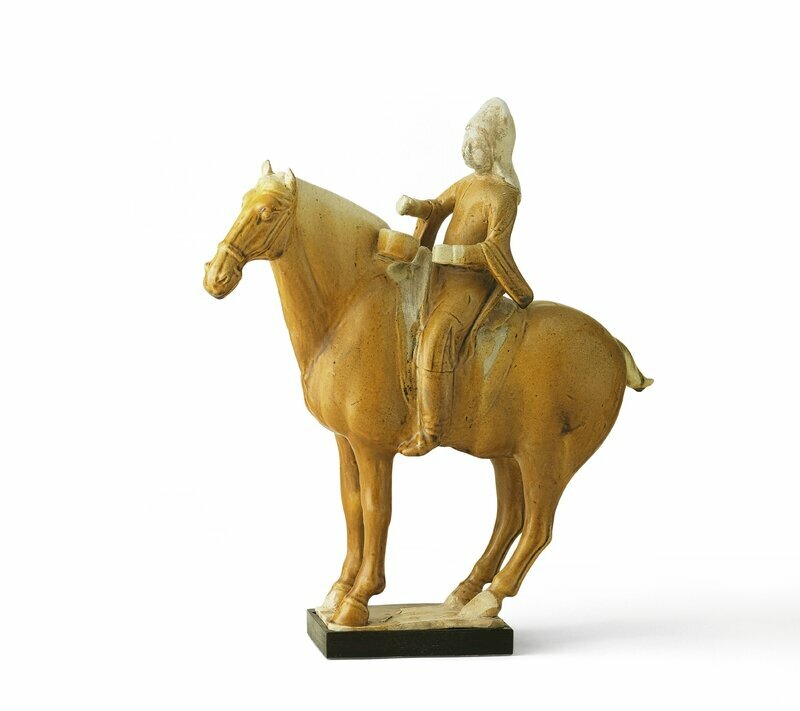 Museu de Arte de São Paulo Assis Chateaubriand. 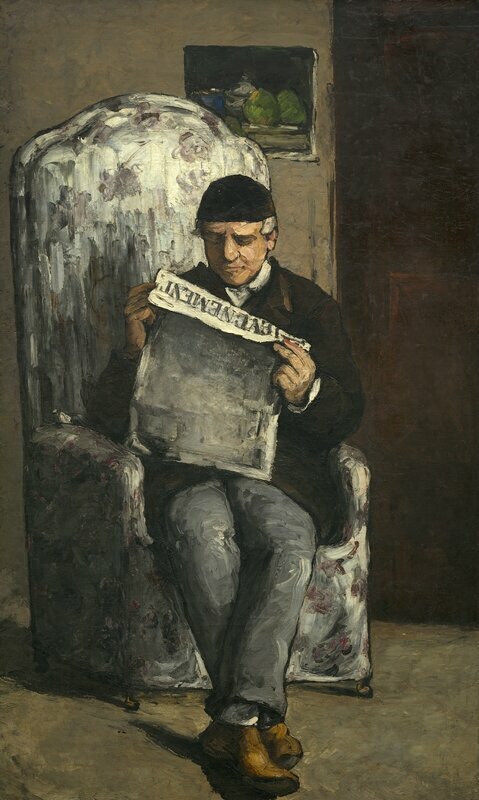 Paul Cézanne (1839-1906), Cézanne’s Father, Reading L’Evénement, 1866, National Gallery of Art, Washington, D.C.; Collection of Mr and Mrs Paul Mellon. 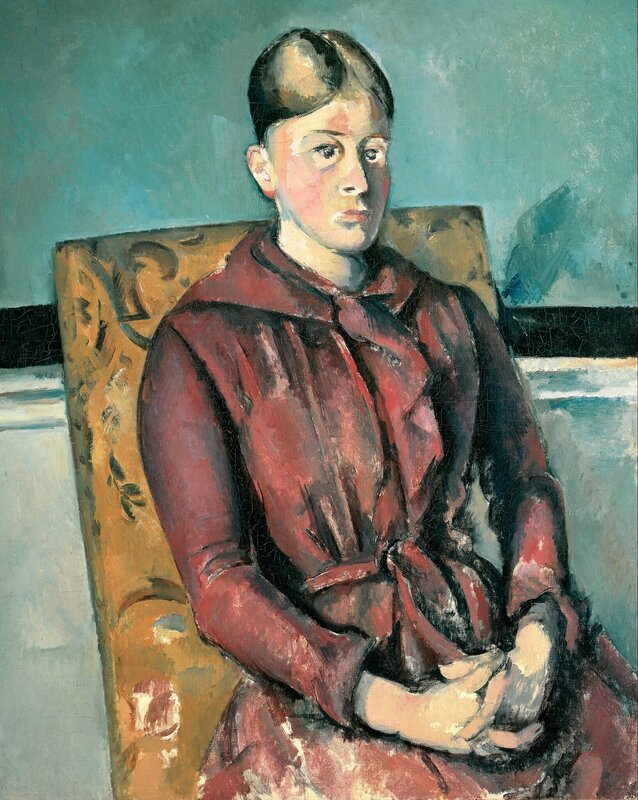 Paul Cézanne (1839-1906), Madame Cezanne in a Red Dress, 1888–90, Art Institute of Chicago; Wilson L. Mead Fund. 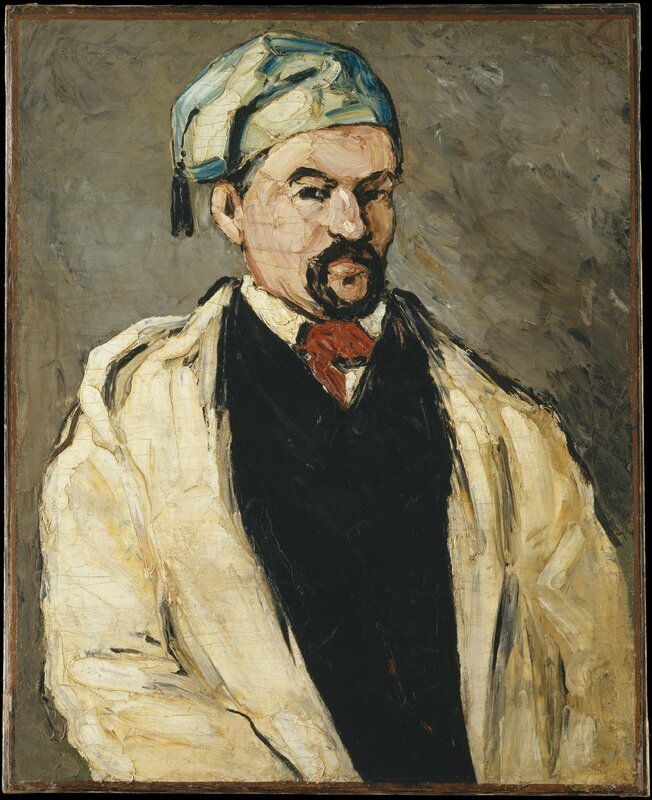 Paul Cézanne (1839-1906), Uncle Dominique in Smock and Blue Cap, 1866–7, Metropolitan Museum of Art, Wolfe Fund, 1951; acquired from Museum of Modern Art, Lillie P. Bliss Collection.